This is my first track. 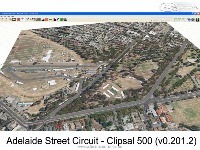 It is of Adelaide Street Circuit, the Clipsal 500 in 2009. 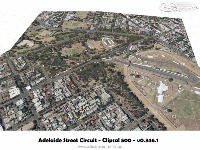 This is a scratch built using Bob's Track Builder, 3DSimEd, 3Ds Max and Adobe Photoshop. 20th April - v0.500.0 released. Reworked AIW, it still may need some tweaking. Redone Bigpond, XXXX Gold and Jim Beam Wall Textures. Completely redone T10-T11. Relaid some rubber build-up on the track. Fixed the "phantom wall" bug, where cars act like they hit a wall when they go under the brake markers. 17th April - v0.450.0 released. 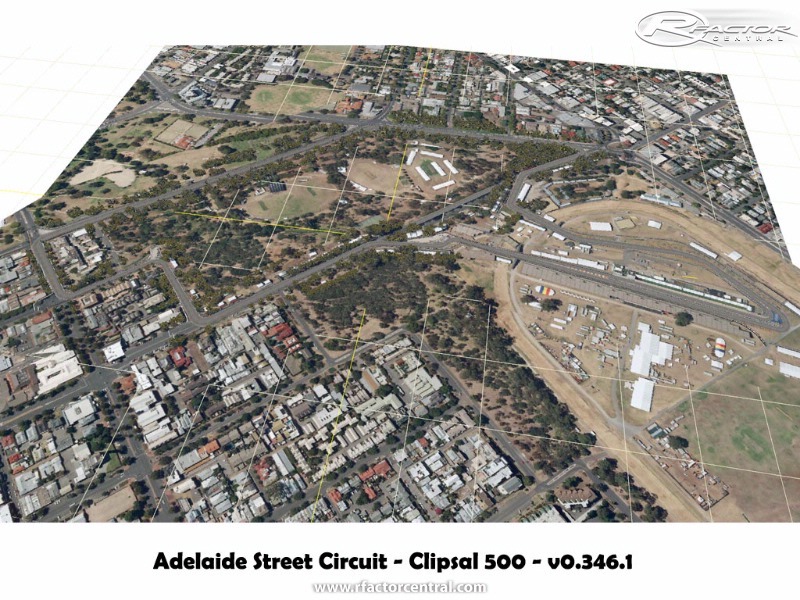 Added yet some more fantastic textures thanks to Peter Kastanaras, which include the Ryobi texture and the Adelaide Sign on the ground in T1-T2. Added proper run off to the track, so now you wont run off into the grass. AIW properly working, so you can have races with AI cars of up to 32. 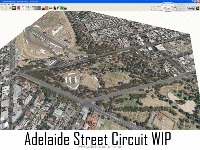 Added skidmark and rubber build-up textures to the road, along with starting grid positions. 15th April - v0.400.0 released. Redone some textures (thanks to Peter Kastanaras for doing this!) Added grass to inside curbing in T1 - T2 - T3. 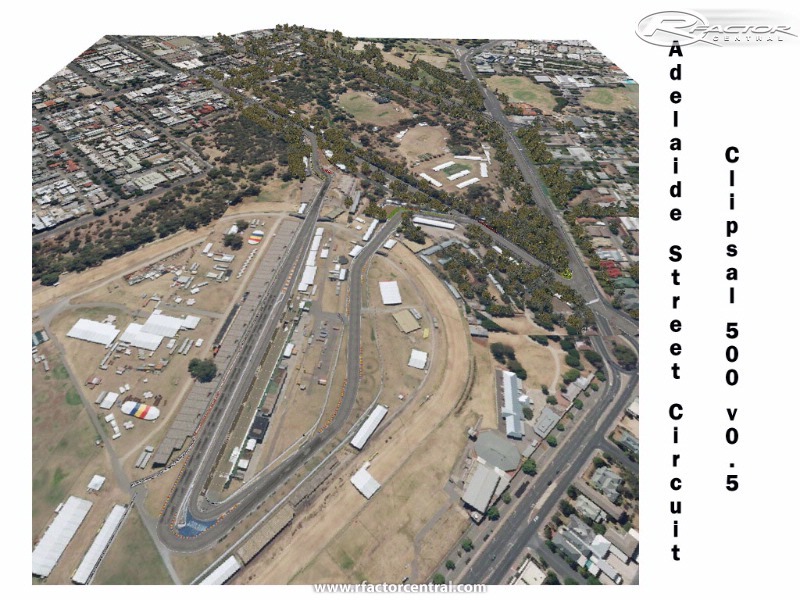 Added Adelaide Sign to Chicane. Merged Access Road to the Race Surface (Access Road at exit of T2). 14th April - v0.346.1 released. Finally, all the walls finished, liverys finished, cages finished and gaps in walls filled in. Revamped cameras, pit lane now accessable, the terrain on pit entry and exit fixed, readjusted some curbs. Added some more brake markers. Some 3d object trees moved around. 12th April - v0.201.2 released. Walls from Pit Straight to T8 finished, all gaps filled. T8 again totally remodeled, added brake markers from T5 to T9. Added 7 Sport, Signs Inc, XXXX Gold and Ryobi v16 Wall Signages. 11th April - v0.137.5 released. Walls from Pit to T4 finished, still some gaps in places along the circuit. T8 totally remodeled, added arrows on entrace for visibility to the wall, armco on the inside. Added braking markers, redone the tyre walls. 10th April - v0.091.1 released. 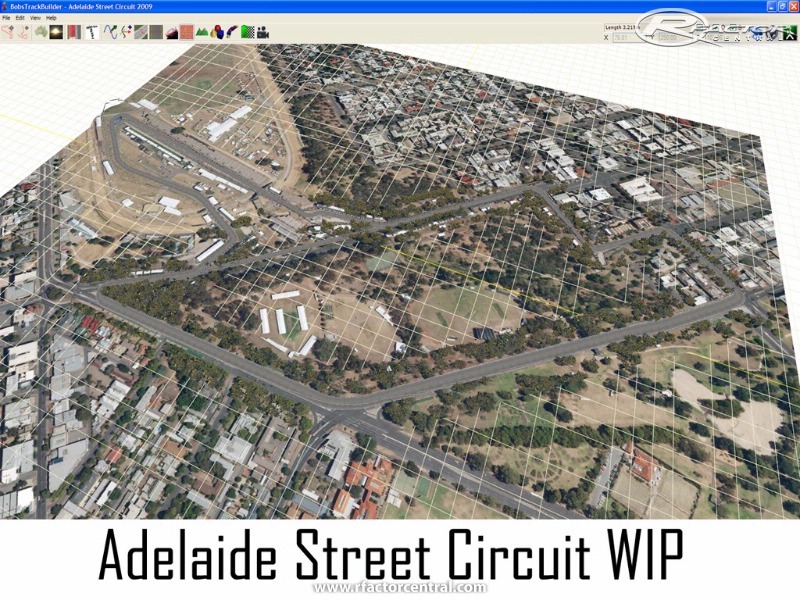 Walls from Pit Straight to T4 mostly finished, track eleavtions finished, trees finished (thanks to XPacks of Rural Australia and Default from Bobs Track Builder), car starts from middle of pit straight and camera's half finished. Krunch from V8Factor for his Tree Textures..
Hey pezter69, sorry for incorrect spelling, a few posts earlier. 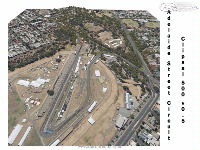 FlashQld, wouldn't mind having a crack at this track!!!!!! Any chance, you could contact him, and get things moving in any forward direction???????? hmm.. I think I said I cant 3d model. Here is a updated version of 2009. If anybody can help in anyway, please feel free to change anything, anywhere. I lost the original BTB files in a hard drive wipe so there is not going to be a track config change in a while.